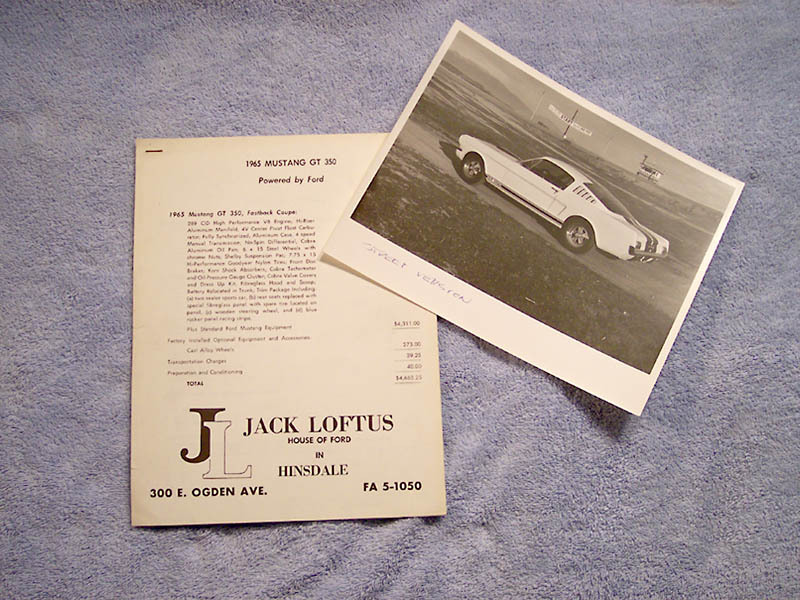 Jack Lotus Ford 1965 GT350 price sheet and explanation of GT350 unique items. The black & white photo was most likely taken at the Riverside Raceway introduction in January 1965. The car is likely one of the pre-production GT350s which were between #4 and #14. This photo was sent to Road&Track in 1965 (as stamped on the back) but never used in the May 1965 issue.